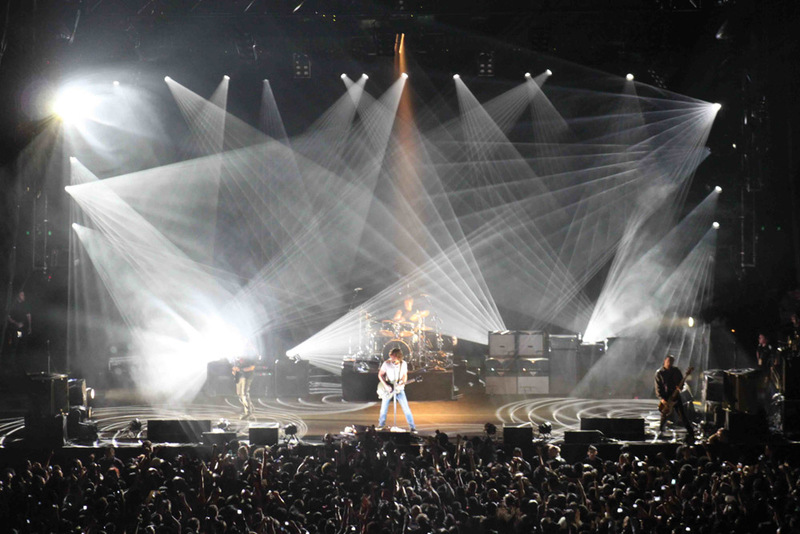 Playing to a crowd of more than 20,000, Seattle-based grunge band Soundgarden recently performed at the Palacio de los Deportes in Mexico City during its international tour, running through summer 2013. The band’s 26-song set list was highlighted with the band’s extensive catalog and was brought to life by a Martin lighting system, deployed by OCESA PRG Mexico. Throughout the stage, 34 MAC Viper Profiles, 13 MAC 2000 Wash XBs, 20 MAC Aura LED fixtures, 12 Atomic strobe 3000s with Atomic Colors scrollers were deployed, strategically designed to provide a spectacular visual landscape for the show.